Prime Minister Mostafa Madbouly and ministers of transport and communication issued a decree on Sunday banning heavy trucks from driving on Cairo’s Ring Road starting from mid-September. Trucks will now only be allowed to access the new Regional Ring Road, which connects seven governorates with Cairo; Ismailia, Suez, Sharkeya, Qaliobya, Monofeya, Giza, and Fayom. The regional ring road was completed this July, which aims to ease the traffic movement in Greater Cairo where traffic congestion is often at its peak. Head of General Authority of Roads, Bridges and Land Transportation, Adel Turk, noted that trucks loaded with five-ton-cargo or above would not be allowed from entering Cairo. The new regional ring road is expected to save the state about LE 800 million annually as a result of less amount of fuel being used in transferring cargo, as stated by Transport Minister Hisham Arafat. The road will also help facilitate trade movement between Upper Egypt, Delta and the Suez Canal governorate. Earlier this month, the parliament’s transportation committee proposed a new traffic law to limit road accidents, with one of the rules dictating that truck drivers will receive imprisonment for three months and a fine between 4,000 LE and 8,000 LE. 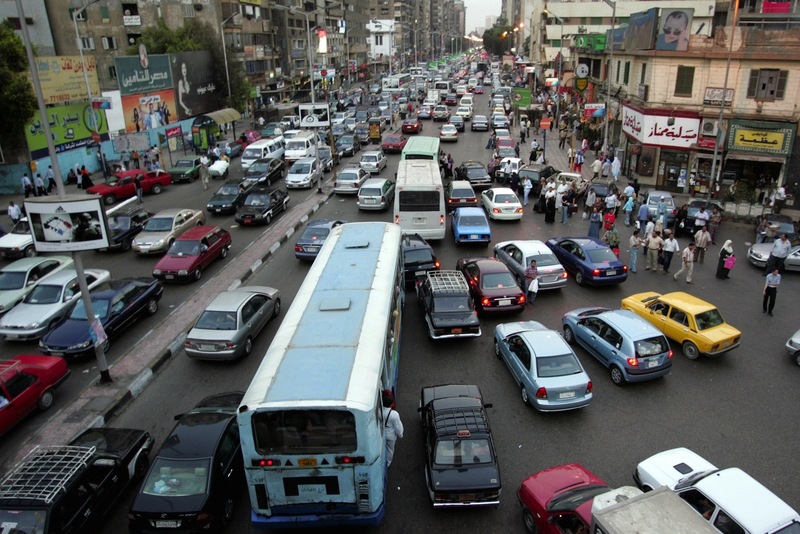 In 2014, a study released by the World Bank states that Egyptians pay EGP 47 billion on Cairo traffic and it is expected to increase to EGP 105 billion by 2030.